What is the status of TGS Theme Songs page? There are no existing tgs staffers working on new theme songs. If you would like to submit one, please email tgs_info@yahoo.com. Please don't include the song as an attachement. What theme song music is available? All of these are in mp3 format, and a description is listed with each one. 1:16 worth of music. This music is set to the The Goliath Chronicles Theme. 0:53 worth of music with words. The music comes from Dragonheart soundtrack. 0:54 worth of music without words. The music comes from Dragonheart soundtrack. 1:20 worth of music without words. The music comes from Dragonheart soundtrack. 1:01 worth of music with words. 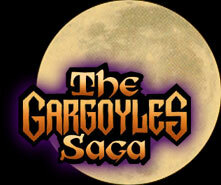 This is set to Gargoyles theme. 1:09 worth of music with words. The music comes from The Power of One soundtrack. 1:09 worth of music without words. The music comes from The Power of One soundtrack. 1:37 worth of music without words. The music comes from The Mortal Kombat Annihilation soundtrack. Randy Edelman who we wouldn't have had a theme for Pendragon if he hadn't composed and conducted the Soundtrack to "Dragonheart." Buy a copy of this truly awesome soundtrack! Nintendo for Seth Jackosn's use of quotes from StarFox 64. If you haven't gotten a copy of this yet, buy one and get ready to rumble!